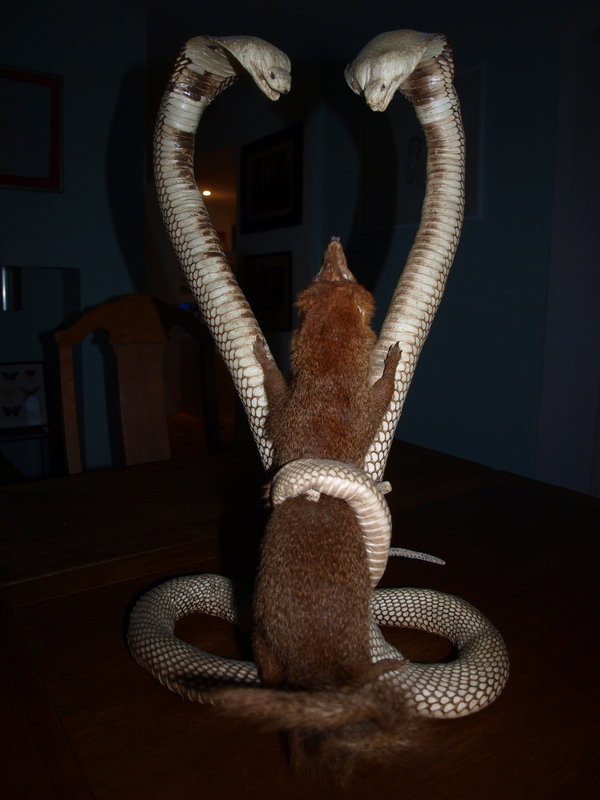 Why: “The cobra’s and the mongoose”? Surely you mean “the cobras and the mongoose”? No apostrophe is needed to make a plural.